Click the button below to add the B&G Zeus Z12 Sailing Navigation System to your wish list. 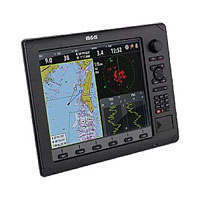 The B&G Zeus display comes with an integral chartplotter with ultra-fast redraw and pre-loaded regional charts. Its in-built multifunction capabilities additionally equip it to act as a hub for a wide range of B&G and Navico instruments; displaying data in combinations, layouts and formats selected by the user, and allowing the full control and input of data. Important sailing data is overlaid onto the Zeus chart, enabling an assessment of the most efficient route to be sailed rather than a simple straight-line "power boat" waypoint to waypoint route. Direct editing and backup of H3000 Polar tables enables the crew to sail to the boat’s optimum performance. Zeus supports B&G H-Link, NMEA0183 or NMEA2000 compatible instruments. SonicHub and other approved Ethernet, SimNet and NMEA2000 devices such as CZone Digital switching, StructureScan™, BSM-1 sounder and SIRIUS® satellite weather (US only).